Some of my favourite places to go are second-hand bookshops, you just never know what you might find. 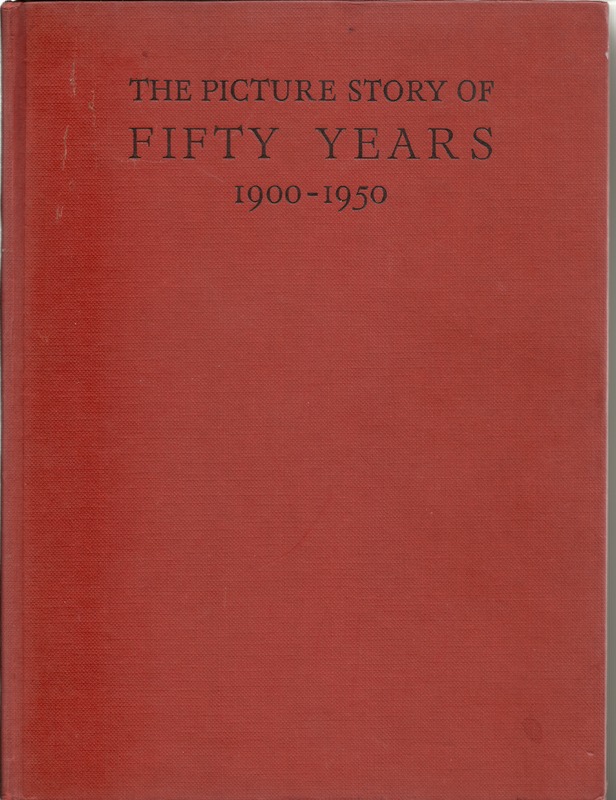 The other day I picked up this little beauty on sale for just £1.50. It contains some great illustrations, and I’ve already learnt a lot from this book. 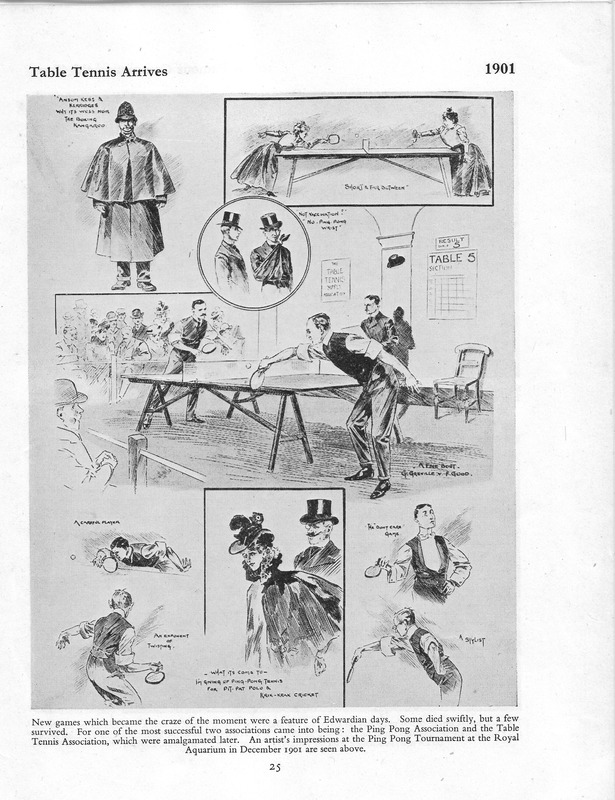 I was delighted to see a whole page devoted to the introduction of Table Tennis in 1901. I have previously written about my parents interest in Table Tennis and pondered over the difference, if any, between Table Tennis and Ping Pong. Here are some of the illustrations from the book. 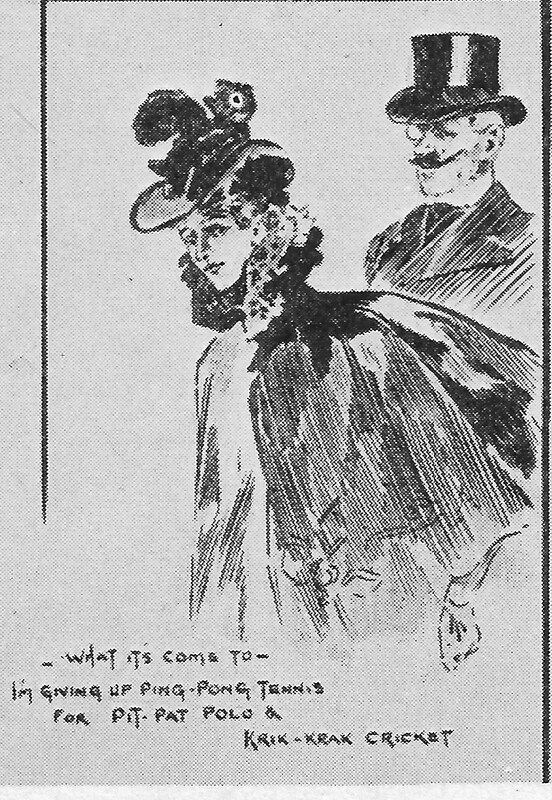 New games which became the craze of the moment were a feature of Edwardian days. Some died swiftly, but a few survived. 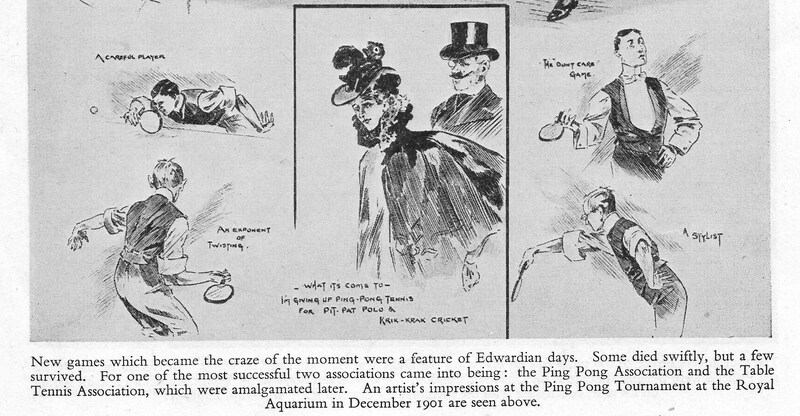 For one of the most successful two associations came into being: the Ping Pong Association and the Table Tennis Association, which were amalgamated later. Top pic – A careful player. Bottom pic – An exponent of twisting. Top pic – He don’t care game. Bottom pic – A stylist. What it’s come to – I’m giving up Ping-Pong Tennis for Pit-Pat Polo & Krik-Krak Cricket. This made me interested in the history of Table Tennis, so I looked online and found a website which gives the following explanation. “Many people hold the wrong notion that table tennis originated in China, because the Chinese name ping-pong is also used for the sport and because the Chinese dominate the game nowadays. 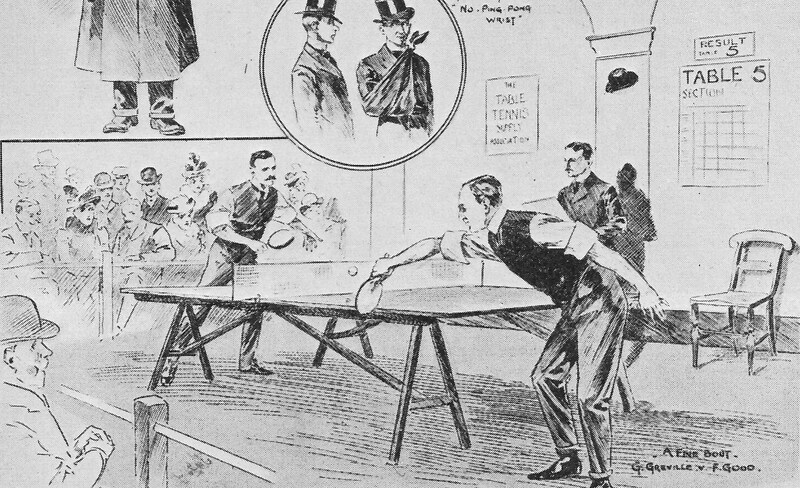 However, ping-pong was actually started by the upper class Victorian gentlemen in the 1880s in England, as an after dinner indoor relaxation, mimicking outdoor tennis. They used day-to-day objects, like using a line of books as the net, a knot of strings or a rounded top of a Champagne bottle cork as the ball and a cigar box lid as the racket. 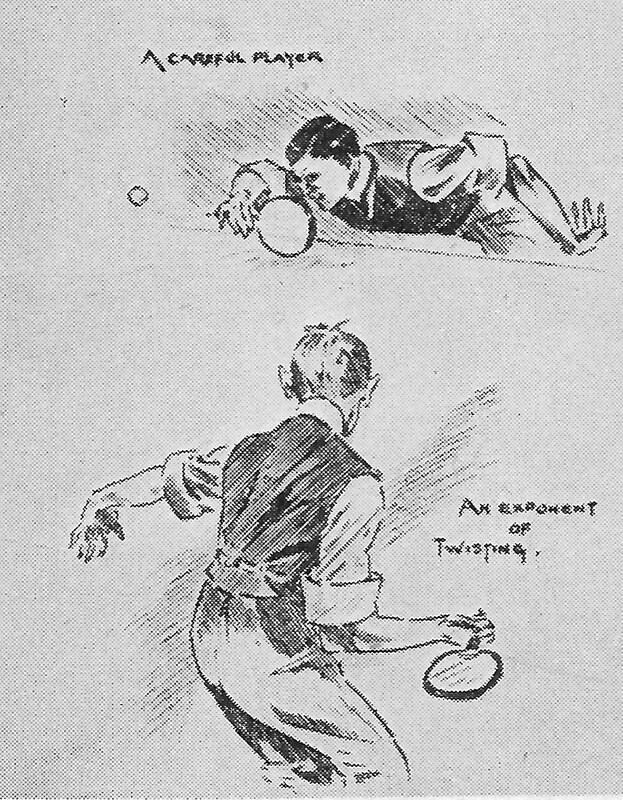 The name ‘ping-pong’ was derived from the sound when the sport was played. That name was trademarked by an English table tennis equipment manufacturer, J. Jaques & Son Ltd. in 1901. 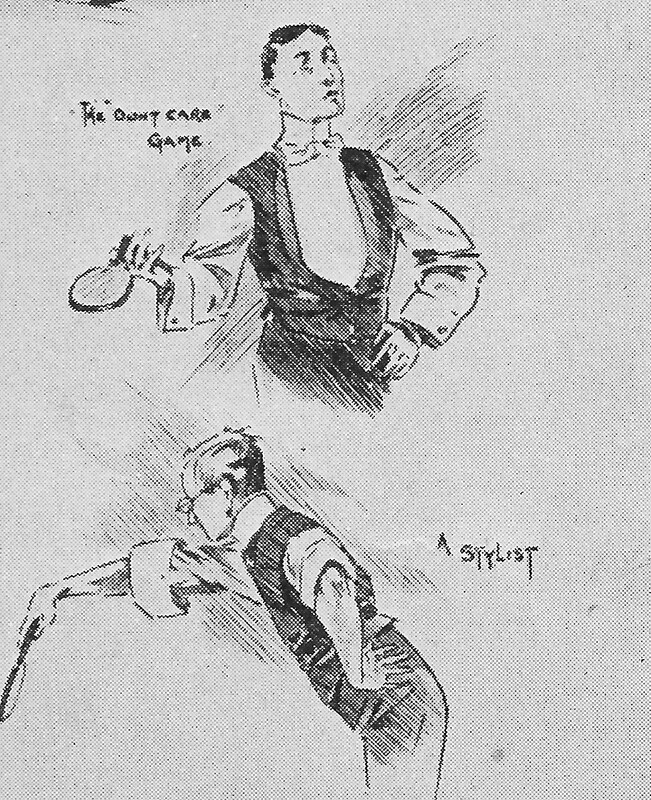 The name, ping-pong, was used when the sport was played with the expensive Jaques equipment, while other manufacturers called their equipment as table tennis equipment. Later, Jaques sold the rights of ping-pong to Parker Brothers in the United States. However, nowadays, ping pong is used as a generic name for table tennis. There is more information here http://www.ittf.com/museum/history.html the site of the International Table Tennis Federation. This entry was posted in SPORT, Table tennis and tagged History, Table Tennis. Bookmark the permalink. What a wonderful find that book was, Jackie, and a bargain price! I love second hand bookshops too. Fantastic it had info about table tennis in. You were obviously destined to find it!